The authors can be contacted at the Department of Animal and Wildlife Sciences, Texas A&M University, Kingsville 78363, United States, and at Finca Ecologica, University of Agriculture and Forestry, Ho Chi Minh City, Viet Nam, respectively. Pour le troisième millénaire, certains changements mondiaux prévus sont très sensibles, notamment la croissance démographique rapide (se comptant par milliards), les pénuries alimentaires critiques (notamment de céréales), la proportion croissante d'agriculteurs occupant de petites exploitations ou se trouvant sans terre, la crise des combustibles fossiles, et la dégradation de l'environnement. Si l'on a assisté, au XXe siècle, à une augmentation spectaculaire de la production vivrière grâce à la révolution verte et aux systèmes intensifs de production animale, pendant les prochaines décennies, qui seront très importantes, notre survie dépendra de l'identification et de l'adoption de méthodes différentes et plus durables de production vivrière. Dans tous les cas, et en particulier dans les pays en développement, les technologies appropriées faisant davantage appel aux ressources locales devront, pour la plupart, viser la multitude de petits agriculteurs opérant dans des systèmes à faible apport d'intrants. La présente étude a pour objet de mettre en évidence divers modèles d'intégration cultures-élevage, qui tiennent compte de problèmes essentiels tels que la sécurité alimentaire, la stabilité sociale, le souci d'équité entre les sexes et la sensibilité aux questions d'environnement. Para el próximo milenio, hay ciertos cambios mundiales previstos que ya son inminentes, como el rápido crecimiento de la población humana (en una escala de miles de millones), la escasez crítica de alimentos (particularmente de cereales), el número proporcionalmente mayor de agricultores que ocupan fincas más pequeñas o carecen totalmente de tierra, la crisis de los combustibles fósiles y la degradación del medio ambiente. Si bien el presente siglo ha sido testigo de aumentos espectaculares de la producción de alimentos, por ejemplo con la revolución verde y los sistemas de producción animal intensiva, en los decenios decisivos que siguen la simple supervivencia dependerá de la identificación y adopción de métodos alternativos y más sostenibles de producción de alimentos. Sin lugar a dudas, especialmente en los países menos adelantados, las tecnologías apropiadas con una mayor utilización de los recursos disponibles localmente deberán orientarse a la multitud de pequeños agricultores que utilizan sistemas de bajos insumos. El objetivo del presente artículo es presentar diversos modelos agropecuarios integrativos en los que se abordan problemas fundamentales como la seguridad alimentaria, la estabilidad social, la sensibilización sobre la paridad hombre-mujer y la sensibilidad en relación con el medio ambiente. The expression "livestock development project" is often interpreted as a project aimed at increasing livestock production so that project beneficiaries may realize increased economic returns or improved diet quality. Mellor (1986) succinctly states: "Animal agriculture should be an important element in efforts to eliminate poverty and hunger in developing countries." Unfortunately, a hard lesson learned from several decades of global assistance is that projects that are specifically designed to improve the nutritional status of rural populations by promoting intensive animal production systems have largely failed (Udo, 1997a). In general, this approach is not sustainable because it is either out of reach of the rural poor or because it may pose considerable economic risk. In contrast, successful small-scale and economically feasible livestock projects, whether by intent or not, have in many cases brought about other benefits, such as social and gender benefits and improvements in health status, employment, functional literacy, environmental conservation and spiritual growth, in addition to increased food and income. The fulfilment of one or more of the former (primary) benefits will be more likely to lead to increased food and income (secondary benefits). Holistic transformation and empowerment of the poor can be achieved from livestock projects that are appropriately designed, albeit scaled down, and ultimately successful. The purpose of this article is to offer several alternative models for designing livestock projects that may better foster human development and also support escalating human needs in the next millennium. income in addition to that obtained from other farm products. INTENSIVE LIVESTOCK PRODUCTION SYSTEMS: A THREAT TO DEVELOPMENT? 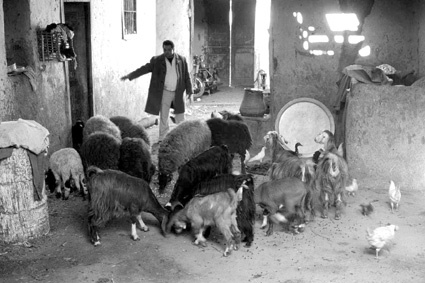 Livestock development projects have often promoted inappropriate livestock production systems to small- holders, such as intensive poultry and swine production. In many cases, innovation has been associated with high economic risk or has even resulted in economic catastrophe: a common sight, for example, is empty broiler houses and piggeries surrounding large cities in least developed countries (LDCs). In China, the foreseen rapid expansion of intensive poultry and swine production was viewed as a serious threat to food security because of the need for increased grain imports (Preston, 1998). Nearly 50 percent of the world's cereal grain supply is fed to livestock (Sansoucy, 1995). The earth's ability to produce more food is close to reaching its limit (Brown and Kane, 1994). in terms of fostering community development, gender and political empowerment, protection of the environment and spiritual growth. On small farms, integrative farming systems have promoted sustainable agricultural production for centuries. Ironically, modern agricultural practices (monoculture, chemical fertilizers and petroleum fuel) generally exclude integration practices, thereby having a negative impact on the environment and on long-term food security. Integrative farming systems can be further broadened to impart greater benefits that pertain not only to long-term farm security or sustainability, but also to environmental conservation as presented below. Numerous examples of successful small livestock integration practices on small farms exist in the LDCs (Table 1). 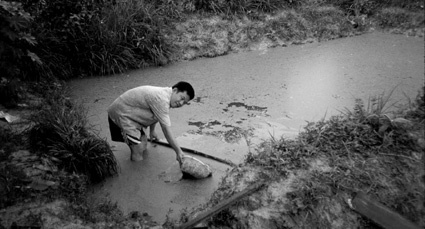 The raising of ducks to fertilize fish ponds and rice paddies is a common practice throughout Asia. Ducks can also be used to control undesirable insects and other pests and to clear aquatic plants from ponds, streams and canals (NRC, 1991). Finzi and Amici (1989) demonstrated satisfactory growth performance of Muscovy ducklings fed on rabbit slaughter wastes and limited maize. In Cameroon, guinea pigs are reared on the ground under rabbit hutches in sheds or rooms to utilize forage wastes and to diversify the meat supply available to the family (Lukefahr and Goldman, 1985; Nuwanyakpa et al., 1997). Manure from both species is also collected and composted for use in forage plots and gardens. In Colombia, Rodríguez, Salazar and Arango (1995) reported on the supplemental feeding of live red worms, typically grown in rabbit manure pits, to growing broilers. In Viet Nam, meal made from dried cassava roots replaces cereals as the main energy source for pigs (Phuc et al., 1996; Nguyen Thi Loc, Ogle and Preston, 1997) and, as an alternative to soybean meal, freshly harvested duckweed appears to have a major role to play, especially when it is grown on ponds enriched with nutrients from biodigester effluent, a process that raises the protein content of the duckweed to over 35 percent in the dry matter (Rodríguez and Preston 1996; Nguyen Duc Ahn and Preston, 1997a, 1997b). The use of this "modified" duckweed has made it possible to replace entirely the conventional soybean and fishmeals in broken rice-based diets for ducks (Bui Xuan Men, Ogle and Preston, 1996) and up to 50 percent of the total protein in cassava root meal diets for growth, reproduction and lactation in pigs (Le Thi Men et al., 1997; Bui Hong Van et al., 1997). When cassava is grown for forage, the aerial part can be harvested at 40- to 45-day intervals and the leaf blades and petioles ensiled as a low-cost means of storage which also neutralizes the toxic cyanides. The exploitive nature of intensively grown cassava can be countered by integrating it with the biodigester and duckweed ponds (Figures 1 and 2), creating a system capable of producing up to 7 tonnes of protein per hectare per year. For the typical small-scale farmer in Viet Nam, it means sufficient protein from an area of 110 m² to supply the daily needs of four Mong Cai sows. This local breed is renowned for its capacity to consume bulky vegetative material and is preferred by Vietnamese farmers as the maternal line to produce crossbred pigs for fattening (Rodríguez and Preston, 1996, 1997). 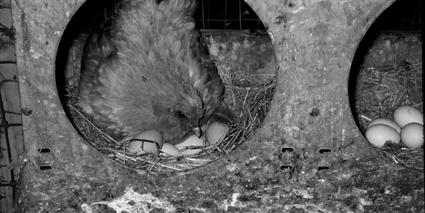 In developing countries especially, local chickens are commonly used to incubate eggs from other poultry species such as guinea fowl, peafowl, quail and turkeys, either because they are less broody, or to avoid interrupting egg production because of the higher economic value of the chicks of these species. These integrative measures generally increase food production without increasing production costs: "The whole is greater than the sum of its parts". In such examples, the dependency on commercial feed, chemical fertilizer, petroleum fuel and electricity is either minimized or eliminated altogether. The environment is more likely to be conserved by such practices, too. Indeed, these sustainable and technically sound measures are also suitable for small farms because labour is shared among family members. In contrast, such practices are not deemed feasible for large-scale livestock operations. It is well known that agricultural training offered at university level, in both developed and developing countries, generally involves an academic curriculum that emphasizes large-scale, intensive livestock production. Particularly in developing countries, a common scenario is the extension agent with such training who has been assigned to a remote rural village where agricultural production is based on small-scale and usually sound traditional technologies. Here, the old and the modern worlds often clash. small operations were expanded to larger ones: "Larger operation size will increase income!". Needless to say, the project was soon on the verge of collapse, because farmers were now subjected to high economic risk. Unfortunately, the economy of scale was not considered by the well-meaning agent and, as a consequence, the rabbit farming livelihood of the villagers was jeopardized. The point is that, in general, small-scale and traditional livestock farming practices usually have a sound basis which promotes long-term food security. Suffice to say that training of extension staff largely at the farm level makes better sense. In response to this issue, an international non-governmental organization (NGO) - University of Tropical Agriculture Foundation (UTA) - with funds from the Danish International Development Agency (DANIDA), is currently promoting a postgraduate programme in Viet Nam with the aim of "creating opportunities for learning" about sustainable agricultural practices (Preston, 1997). The students spend the first three months living and working in a small (3 000 m²) "ecological" farm, which also functions as a laboratory for research and development of the integrated use of local resources. Emphasis is on "learning by doing". The doing also includes extensive use of computers and electronic communication for access to advisers and knowledge from international journals and databases. These communication skills are put to good use when the students return to their work places to write their theses, which are driven by the identification of farmer-perceived needs through participatory rural appraisal (PRA) and the subsequent development and testing of interventions agreed by the farmers. "You can count on the fingers of one hand the domestic animals that produce virtually all of humankind's meat and milk - a selection made more than 10 000 years ago by our Neolithic ancestors. Yet the earth teems with thousands of species of animals; why limit ourselves to cattle, pigs, goats and sheep?" (NRC, 1991.) These species, and chickens, were all first domesticated in Asia and Europe. The discovery of the New World led to the introduction of these same traditional food animal species. Centuries of artificial selection resulted in many improved or "exotic" breeds for intensive production systems (e.g. Holstein-Friesian cattle, Leghorn chickens and Duroc pigs). Moreover, this progressive era in animal domestication occurred primarily in temperate climatic regions. The animals, Dutch Friesian, were generally unable to adjust to local conditions. The cattle were unsuited to small farmers' needs; they could not be used as draught animals and often suffered from disease stress, leg problems and infertility. The experience of 20 years revealed that the route - intensive livestock projects - had been ill chosen. According to Hammond and Leitch (1995), approximately 1 500 of the 4 500 breeds found worldwide are now at high risk of extinction. Invariably, justification for exotic breed introduction was based on the conventional wisdom that local breeds were genetically inferior, e.g. small litters, slow growth and low egg, milk or wool yield. The inbreeding and pure-breeding myths continue to be another popular defence for the wholesale displacement of local rabbit breeds (Lukefahr, 1998). Fortunately, it is now better understood that there is a sound physiological basis for the apparent poorer productivity of local breeds, many of which evolved in adverse environments. In recent years, there has been growing awareness concerning the need for the preservation and conservation of animal genetic resources (FAO, 1995). Local breeds, or "microbreeds", and less traditional species, or "minor species" - collectively referred to as "microlivestock" - are generally more suited for production on small farms than exotic commercial breeds (NRC, 1991). Globally, there are thousands of microbreeds of cattle, pigs, goats, sheep and chickens, and also minor domesticated species, present or potential. Examples are capybaras, guinea pigs, iguanas, Muscovy ducks and rabbits (NRC, 1991; Thelen and van der Werf, 1995). It is anticipated that these frequently overlooked microbreeds and minor species will become increasingly important in alleviating world hunger in the next millennium. Noted features include regional adaptation, also called "hardiness" or "rusticity", disease and/or parasite resistance, sustained production under subsistence conditions, including low-quality diets, and strong household or market demand (Table 2). 1. Sustainable animal production system based on local and renewable resources. 2. Utilization and recycling of manure, feed wastes, slaughter by-products, etc., in traditional and diversified integrated farming systems. 3. Low-cost feeding based on farm-generated resources which consist of cultivated and native forages, fodder trees, farm plant and animal by-products, kitchen wastes, etc. 4. Housing and equipment constructed from local materials. 5. Low animal unit cost of production. Rapid reproduction of stock when expansion is desired (i.e. feedstuffs are plentiful and/or market prices are high). 6. Low economic risk of investment and operation. 7. Small livestock as "walking banks" - a financial reserve for family emergencies. 8. Higher profit per animal unit relative to intensive production systems because of favourable "economy of scale". 9. Utilization of and demand for suitable and rustic local breeds of livestock. 10. Natural breeding/incubation/brooding of poultry breeding stock/eggs/hatchlings. 11. Utilization of unskilled family labour - feasible management by women and children. 12. Local marketing, processing and distribution of animal products, including meat, without need of refrigeration. One popular example of such a regional "niche" species is the guinea pig. In Peru, approximately 7 million guinea pigs, a traditional delicacy, are consumed each year (Vietmeyer, 1984). This species is traditionally raised in the Andes by women and children because of the animal's small body size. Guinea pigs are often reared on the floors of kitchen areas where they are fed grasses, weeds, kitchen scraps, etc. In fact, they can usually adapt to whatever food is available (Chauca de Zaldivar, 1995). Typically, meat from guinea pigs is mostly consumed by the family or by neighbours rather than being sold in the marketplace - a "cottage industry". In many instances, rather than introduce exotic breeds it is more appropriate and sustainable to design projects that improve management practices and the health and feeding of local breeds to increase egg and meat production at low cost. Such sustainable and locally based livestock projects emphasize self-sufficiency and rural-scale technologies that directly target limited-resource families and thereby foster grassroots development. It is becoming more widely recommended that where local breeds (microbreeds or minor species) exist they should be given priority over the use of exotics. The use of exotic breeds should be limited to introductions from developing countries that have similar conditions, as opposed to developed countries where breeds are selected for intensive specialized production. For many microbreeds or minor livestock species there are no formal markets. In some European countries, for example, rabbits are mostly found on small farms in townships. It is common for sales to consumers to take place directly from the farm. In contrast, the volume of rabbit meat in formal markets or stores may be low. Cottage industries of this sort also exist for ducks, geese, guinea fowl and guinea pigs, for example. Such micro-enterprise activities are a source of economic livelihood in many farm societies. Economists should refrain from rejecting such worthy livestock activities from project funding consideration on the basis of "lack of markets", "no market demand" or "lack of market infrastructure", as they have done in the past. Rather, many such cottage industries should be supported and expanded to have a greater impact on small farm societies. In the Kielce and Radom regions of Poland, for example, small-scale rabbit raising was expanded to reach over 5 000 rural families, many of which had no gainfully employed members (Brzozowski et al., 1998). Rabbits were fed on farm by-products, forages and weeds and their manure was recycled as compost for garden use. There were direct benefits in terms of increased meat consumption and income. A feature of small livestock farming activities is that labour is shared among all family members. Small livestock projects for rural youth usually involve minimal investment or risk. Some projects that directly involved youth have even discouraged migration from rural to urban areas (Kamel and Lukefahr, 1989). In addition, the social status of women has been elevated through income generation by poultry projects, for example in Bangladesh (Rahman et al., 1997), which demonstrates the unique opportunity of small animals to help foster development and social empowerment for the poorest and landless members of society. In Egypt, a village-scale rabbit project improved functional literacy through the reading of basic production manuals and keeping of records (Kamel and Lukefahr, 1989). Project participants also acquired problem-solving skills and obtained bank loans to engage in other development projects. In Peru, the annual ceremonial ritual of slaughtering guinea pigs and distributing the meat among all society members is believed to have an evolutionary basis in the prevention of protein deficiency (Bolton, 1979). Because of the poor economic conditions of the Santa Barbara region, guinea pigs are among the few livestock species that can be adequately supported. In recent years, there has been growing interest in urban livestock production because of rising human populations and demand for animal food products. The raising of small livestock such as pigeons and rabbits on rooftops and balconies, and pigs, sheep and goats along roadsides, may become an increasingly important activity in the next millennium (UNDP, 1996). In Cairo, the collective rearing of chickens, ducks, pigeons, sheep and goats has been observed on the rooftop of an apartment. The animals were being fed on roadside herbage via cut and carry, and garden and kitchen wastes. It has been reported that in Lima, Peru, guinea pigs were raised in cardboard boxes placed underneath beds (Vietmeyer, 1984). 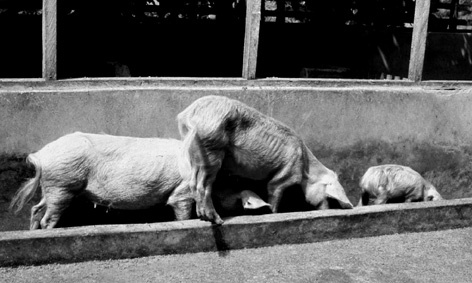 In Mexico City, the urban rearing of chickens and pigs was determined to be important economically and socially as a means of subsistence and as cash for family emergencies (Losada et al., 1997). There are, however, enzoonotic health concerns associated with increased animal densities in urban settings. The social impact of this urban trend has yet to be determined. The utilization or preservation of certain traditional animal production practices keeps alive indigenous knowledge and social values in farming communities. For example, in African villages, the use of traditional plants to combat local diseases of chickens - ethnoveterinary medicine - is a practical alternative to costly medications (Udo, 1997b). In Cameroon, Toyang et al. (1995) reported that 33 out of 55 diseases and ailments of cattle can be treated or prevented by traditional medicines involving biologicals from animals and plants. A partnership between humans and livestock can help to protect the environment by preventing, for example, overgrazing, deforestation, chemical residue contamination, soil compaction and erosion. Hence, "environmentally friendly" livestock production, contrary to popular beliefs, can complement existing agro-ecosystems on small farms and is compatible with ongoing global efforts to conserve and protect the environment, unlike commercial-scale livestock operations that are the common target of public scrutiny and controversy. In a review by Dalibard (1995), there are numerous livestock management practices or systems that help to protect rather than to destroy the environment. In Honduras, the confinement of local goats in sheds, with only limited, controlled pasture grazing activity, involves the zero-grazing or "cut and carry" practice which is being widely adopted on small farms (Ketzis, 1997). Related activities in mountain areas of Viet Nam have led to production of high-value goat cheese that competes in price with the imported product and has doubled the income of women farmers (Preston and Dinh van Binh, 1997). By contrast, more conventional milk production in the peri-urban areas of the main cities is unprofitable owing to market saturation by reconstituted milk products derived from low-cost imports from the highly subsidized milk industries in Europe and North America. The widespread use of chemical herbicides and pesticides can be limited, even avoided, through the integration of livestock in previously crop-dominated agro-ecosystems. Numerous cases have been reported of misuse on small farms of manufactured chemicals such as DDT, which had devastating effects on the environment. The recycling of animal manure and feed wastes to the land to replenish soil nutrient reserves, thereby limiting the need for costly chemical fertilizers, is a sound and age-old practice. Another alternative is the use of livestock as biological control agents. For example, Clark and Gage (1996) reported success in the use of geese to control harmful insects and weeds in fruit orchards as an alternative to applying chemical herbicides and pesticides. In the Nile delta, the traditional use of pigeons for the same purpose is well known. In Viet Nam, the integration of ducks with rice production has reduced the need for pesticides by 50 to 100 percent (Vo Tong Xuan, personal communication). In China, the integration of aquaculture and animal production, involving pond fertilization with animal manure from cattle, poultry, sheep or swine, as opposed to commercial feeds and fertilizer, increased the fish harvest by two to four times (Chen, 1992). A recent trend is the employment of Muscovy ducks as biological fly traps in livestock sheds (NRC, 1991). Free-range guinea fowl are commonly credited with controlling ticks that affect larger livestock. Guarding and territorial instincts, coupled with their loud alarm shrieks, help to protect other small livestock species that are vulnerable to predation. Guinea fowl have also been observed to kill snakes and hawks attempting to prey on other poultry species. In the Dominican Republic, sheep and goats are used to clear shrubs and weeds in aloe vera and sisal plantations (Aaker, 1994); sheep are used to control weeds in sugar-cane plantations in Colombia (Dalibard, 1995). The potential for expansion of small ruminants with tree-cropping systems in Southeast Asia and the Pacific has been documented by Devendra (1991). Leguminous, multipurpose trees such as Leucaena sp. and Prosopis sp. can help conserve the environment through nitrogen fixation and soil stabilization and provide wood for household fuel and feed for livestock. In Panama, young green iguanas have been bred in captivity and distributed to trained campesinos who rear them on treetops on their small farms (Chapin, 1986). Because of the high market price for iguana meat, farmers are motivated to conserve the forests and their countless inhabitant species instead of clearing trees for cattle and cash crop production. In addition, a growing global trend on small farms is the generation of fuel for household use from biogas biodigesters rather than from fuelwood, using animal manure from livestock raised in confinement (Bui Xuan Ahn et al., 1997). The use of inexpensive solar panels to generate electricity is also gaining popularity as an alternative solution to fossil fuel dependency (Preston, 1995). It is recommended that measures that address environmental sensitivity issues be clearly stated in the design of livestock development projects. An appropriately designed small livestock project should contain certain fundamental elements that are critical in achieving a positive impact on target beneficiaries. Many of these elements, for example suitable livestock species, low production costs and minimization of economic risk, functional integration and environmental sensitivity, have been discussed previously. To illustrate the outcome of a properly designed project, the following example involved a regional rabbit project in Cameroon, West Africa, supported by Heifer Project International (HPI) and the United States Agency for International Development (USAID). In 1983, a rabbit specialist was hired and the project was designed with the aim of establishing self-reliant rabbit farming in several poor village communities in the northwest province, whereby rabbit meat would be regularly consumed by families to offset malnutrition. At that time there were few rabbit farmers in the region. 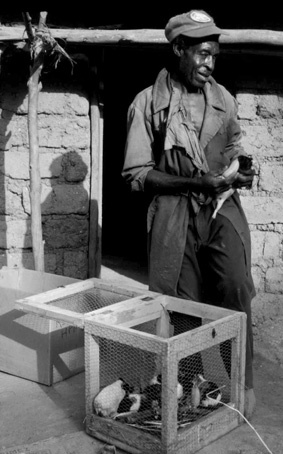 Details of project background were documented by Lukefahr and Goldman (1985), while another publication by Lukefahr (1992) promotes small-scale, low-cost rabbit farming for the poor. The basic approach was to select five or more innovative farmers from several villages in the region which, from interview and local field workers' recommendations, were known to have a strong interest in rearing rabbits. Initially, farmers had to establish forage plots and construct inexpensive hutches from local raffia palm wood before receiving breeding stock, which involved an in-kind loan of three to five young rabbits. Hence, in many such cases, there was little or no investment cost. For several months, regular on-farm visits were made two or three times per month for training and to inspect rabbit farming activities. In each visit, a farmer typically received informal training on one topic, such as rabbit feeding, breeding, disease prevention, fryer slaughtering, meat cooking or skin tanning through the tandem method of on-farm training. Concurrent with farmer training, selected volunteers such as missionaries and Peace Corps personnel were also trained as local project coordinators. Small-scale rabbit units were set up on certain farms to serve as a demonstration model in each volunteer's area. The volunteer made regular visits to each farm; monthly visits by the rabbit specialist were also made to monitor progress. In addition, extension agents were similarly assisted with on-farm training - the reverse of the conventional top-down approach to development. Usually, within six months farmers had gained valuable knowledge and experience in rabbit farming, and their families were consuming rabbit meat. The project was soon ready to multiply the benefits to other families. Each farmer had contracted to pass on the same number of loaned rabbits to another farmer who had made similar preparations and received similar informal rabbit training, largely conducted on newly established local rabbit farms. This critical activity - first-generation, farmer-to-farmer passing on of breeding stock - was supervised by project personnel or, subsequently, by qualified local rabbit farmer leaders. In time, farmers in several villages began to emerge as potential rabbit project leaders who were capable of training their neighbouring farmers. Network meetings among these village rabbit farmer leaders were arranged, which encouraged useful discussions and the sharing of solutions and problems. While the major initial project goal was to produce and consume rabbit meat in households, the project leaders' network later began to explore the market potential in cities and towns in the area. After several years of diligence and project assistance, stable markets have been established and the demand for rabbit meat, based on a recent regional survey (Nuwanyakpa et al., 1997), ranks third after beef and chicken. A rabbit project activity timetable is shown in Table 3. The 18-month timetable guide shows three rounds of farmer selection in new villages and continuous farmer training and supervision. This self-sufficient rabbit project now benefits over 2 500 families in the region. The economic crisis in Cameroon has certainly contributed to the growing popularity of low-cost rabbit farming. This successful project has been used by HPI and other organizations as a model in establishing or expanding rabbit projects in other LDCs. This and other successful projects could be used to some extent as a guide to developing self-sufficient and sustainable small livestock projects for the poor. An excellent report from Viet Nam by Rodriguez, Preston and Dolberg (1996) directly involved small-scale farmers in on-farm research on the identification and evaluation of appropriate livestock technologies. There is a global need for more appropriate models of people-centred and holistic development which involve the contribution of livestock. Greater awareness of this and an effort among livestock project developers to design scaled-down and more accessible livestock innovations, specifically aimed at poor communities and bearing fewer environmental and financial risks, may better serve humanity in the next millennium. Aaker, J. 1994. Livestock for a small earth. Washington, DC, Seven Locks Press. Bolton, R. 1979. Guinea pigs, protein and ritual. Ethnology, 18: 229-252. Brown, L. & Kane, H. 1994. Full house: a reassessment of the earth's population-carrying capacity. London, Earthscan Publications. Brzozowski, M.L., Lukefahr, S.D., Frindt, A., Jasiorowski, H. & DeVries, J. 1998. Factors influencing rabbit production on small farms in Poland. World Anim. Rev., 90: 47-53. Bui Hong Van, Le Thi Men, Vo Van Son & Preston, T.R. 1997. Duckweed (Lemna spp.) as protein supplement in an ensiled cassava root diet for fattening pigs. Livestock Res. Rural Dev., 9(1): 6-7. Bui Xuan Ahn, N.D., Preston, T.R. & Dolberg, F. 1997. The introduction of low-cost polyethylene tube biodigesters on small scale farms in Viet Nam. Livestock Res. Rural Dev., 9:(2): 27-35. Bui Xuan Men, B. Ogle & Preston, T.R. 1996. Use of restricted broken rice in duckweed based diets for fattening common and Muscovy ducks. Livestock Res. Rural Dev., 8(3): 20-25. Chapin, M. 1986. The Panamanian iguana renaissance. Grassroots Development, 10(2): 2-7. Chen, Y.C. 1992. Integrated livestock-fish production in China. In Proceedings FAO-ITP International workshop on integrated livestock-fish production systems, Kuala Lumpur. Clark, M.S. & Gage, S.H. 1996. Effects of free-range chickens and geese on insect pests and weeds in an agroecosystem. Am. J. Alternative Agric., 11(1): 39-47. Dalibard, C. 1995. Livestock's contribution to the protection of the environment. World Anim. Rev., 84/85(3-4): 104-112. Devendra, C. 1991. Potential integration of small ruminants with tree-cropping systems in Asia and the South Pacific. World Anim. Rev., 66(1): 13-22. FAO. 1995. World watch list for domestic animal diversity, 2nd ed. Rome. 769 pp. FAO. 1997. Report on the 1990 world census of agriculture. Rome. 239 pp. Finzi, A. & Amici, A. 1989. Rabbit slaughtering wastes in Muscovy duckling feeding. Riv. di Agric. Subtrop. e Trop., 83(2): 293-303. Hammond, K. & Leitch, H. 1995. Towards better management of animal genetic resources. World Anim. Rev., 84/85(3-4): 48-53. Huss, D. 1982. Small animals for small farms in Latin America. World Anim. Rev., 43: 24-29. Kamel, L. & Lukefahr, S.D. 1989. A note on social impact of village-scale rabbit project development in rural Egypt. J. Appl. Rabbit Res., 12: 259-262. Ketzis, J.K. 1997. Methods for establishing and evaluating a goat introduction project. Livestock Res. Rural Dev., 9(1): 13-24. Le Thi Men, Bui Hong Van, Mai Thi Chinh & Preston, T.R. 1997. Effect of dietary protein level and duckweed (Lemna spp.) on reproductive performance of pigs fed a diet of ensiled cassava root or cassava root meal. Livestock Res. Rural Dev., 9(1): 1-4. Losada, H., Pealing, R., Cortez, J. & Vieyra, J. 1997. The keeping of poultry and pigs in the backyards of the urbanized areas of Iztapalapa (east of Mexico City) as a proposal for sustainable production. Livestock Res. Rural Dev., 9(3): 62-68. Lukefahr, S.D. 1992. A trainer's manual for meat rabbit project development. Little Rock, Arkansas, USA, Heifer Project International. 103 pp. Lukefahr, S.D. 1998. Review of global rabbit genetic resources: special emphasis on breeding programs and practices in the less developed countries. Rome, FAO. Mellor, J.W. 1986. The new global context for agricultural research: implications for policy. Washington, DC, International Food Policy Research Institute. NDC. 1987. Assisting livestock development. Experience of development cooperation with reference to livestock in the period 1978-1984. Evaluation Report. Ministry of Foreign Affairs, Directorate General, International Cooperations, Operations Review Unit, the Netherlands Development Cooperation. April 1987. The Hague. Nguyen Duc Ahn & Preston, T.R. 1997a. Effect of management practices and fertilization with biodigester effluent on biomass yield and composition of duckweed. Livestock Res. Rural Dev., 9(1): 46-51. Nguyen Duc Ahn & Preston, T.R. 1997b. Evaluation of protein quality in duckweed (Lemna spp.) using a duckling growth assay. Livestock Res. Rural Dev., 9(2): 36-40. Nguyen Thi Loc, Ogle, B. & Preston, T.R. 1997. Cassava root silage for crossbred pigs under village conditions in central Viet Nam. Livestock Res. Rural Dev., 9(2): 12-19. NRC. 1991. Microlivestock. Washington, DC, National Academy Press, National Research Council. 449 pp. Nuwanyakpa, M., Lukefahr, S.D., Gudahl, D. & Ngoupayou, J.D. 1997. The current stage and future prospects of guinea pig production under smallholder conditions in West Africa; 2: Cameroon case. Livestock Res. Rural Dev., 9(5): (HTML version, 12 pp.). Phuc, B.H.N., Ogle, R.B., Lindberg, J.E. & Preston, T.R. 1996. The nutritive value of sun-dried and ensiled cassava leaves for growing pigs. Livestock Res. Rural Dev., 8(3): (HTML version, 9 pp.). Preston, T.R. 1995. Research, extension and training for sustainable farming systems in the tropics. Livestock Res. Rural Dev., 7(2): 1-7. Preston, T.R. 1998. Animal production and use of natural resources. Paper presented at VIII World Conference on Animal Production, Seoul, Korea. 13 pp. Preston, T.R. & Dinh van Binh. 1997. Goat cheese production from local resources; an opportunity for poor farmers in mountain areas of Viet Nam. Report to FAO, Rome (TCP/VIET/6613). Rahman, M., Sorensen, P., Jensen, H.A. & Dolberg, F. 1997. Exotic hens under semi-scavenging conditions in Bangladesh. Livestock Res. Rural Dev., 9(3): 10-25. Rodríguez, L., Salazar, P. & Arango, M.F. 1995. Lombriz roja californiana y azolla-anapaena como sustituto de la proteina convencional en dietas para pollos de engorde. Livestock Res. Rural Dev., 7(3) (HTML version, 12 pp.). Rodríguez, L., Preston, T.R. & Dolberg, F. 1996. Participatory rural development: "Experiences in Binh Dien and Xuan Loc villages in central Viet Nam". Livestock Res. Rodríguez, L. & Preston, T.R. 1996. Use of effluent from low cost plastic biodigesters as fertilizer for duckweed ponds. Livestock Res. Rural Dev., (8)2: 60-69. Rodríguez, L. & Preston, T.R. 1997. Local feed resources and indigenous breeds: fundamental issues in integrated farming systems. Livestock Res. Rural Dev., (9)2: 20-26. Sansoucy, R. 1995. Livestock - a driving force for food security and sustainable development. World Anim. Rev., 84/85(3-4): 5-17. Steinfeld, H. & Mäki-Hokkonen, J. 1995. A classification of livestock production systems. World Anim. Rev., 84/85(3-4): 83-94. Thelen, K.D. & van der Werf, N.G.C. 1995. 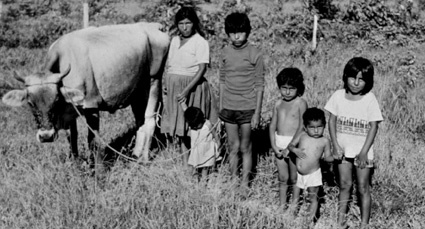 Wildlife and rural development in Latin America. World. Anim. Rev., 83(2): 40-46. Toyang, N.J., Nuwanyakpa, M., Ndi, C., Django, S. & Kinyuy, W. 1995. 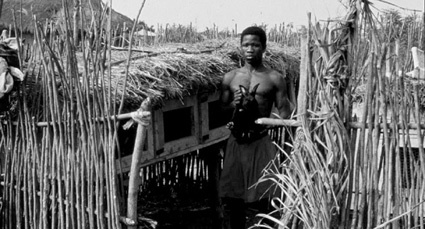 Ethnoveterinary medicine practices in Cameroon. Indigenous Knowledge and Development Monitor, 3: 20-22. Udo, H. 1997a. Myths in livestock development. Equator, 9(May/June): 5-10. Udo, H. 1997b. Relevance of farmyard animals. Outlook on Agriculture, 26(1): 25-28. UNDP. 1996. Urban agriculture: foods, jobs and sustainable cities, Vol.1. New York. 302 pp. Vietmeyer, N. 1984. In Peru they eat guinea pigs. Intl. Wildlife, July-Aug. p. 16-17.